DUVE Berlin is pleased to present the third solo exhibition of German artist Halina Kliem titled, *Flucht um Mitternacht* (Fleeing at Midnight). 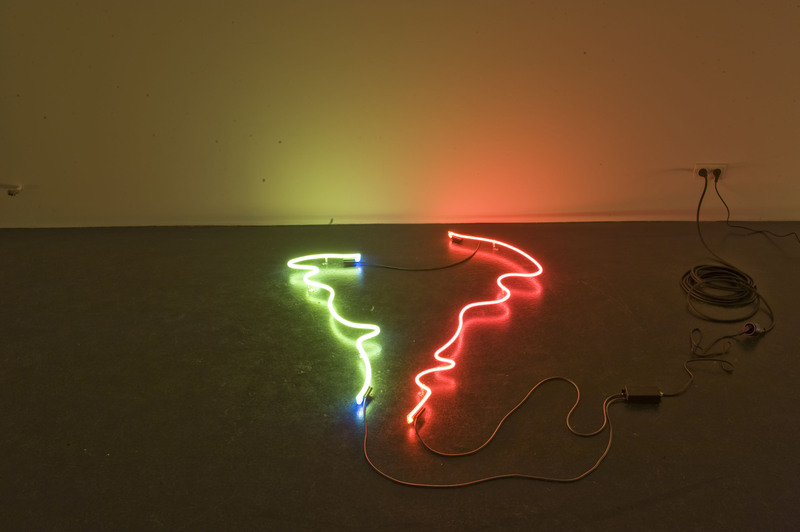 The exhibition features new neon works and works on paper. "I want to burn with the spirit of the times. I want all servants of the stage to recognize their lofty destiny." "Anger is naturally different from sulkiness, hatred from distaste, love from liking; but the corresponding fluctuations of feelings are portrait economically"
In 1935 Berthold Brecht witnessed Mei Lan Fang's incomparable travesti, or Dan, performance in the Chinese Drama shown at the Bolshoi Theater in Moscow, marking the beginning of Brecht's interest in Chinese culture. *Flucht um Mitternacht* refers to a specific scene that presented key aspects of dance, acrobatics, posture and gesture and highlighted the theatrical technique called zitai ju meaning "particular poses." Kliem traces the context between Brecht, Chinese Opera, Meyerhold and the Sowjet Theatre, questioning the relationship between impulsive expression and abstract form within the context of revolutionary avant garde theater. Concurrent with Brecht's initial interest in Chinese opera, Vsevolod Meyerhold was developing his theatrical research into biomechanics by using provocative experiments. He attempted to understand physical being by connecting psychological and physiological processes. Meyerhold stated that, "The emotional state of an actor was inextricably linked to his physical state and that one could call up emotions in performance by practicing and assuming poses, gestures and movements." It was these notions of meeting the body and the dramatic concepts of Chinese Opera that Brecht also considered in his own work. Brecht took the basic principles from the 1935 performance at the Bolshoi and tested them alongside the early experiments of German Epic Theatre of the 1920s. 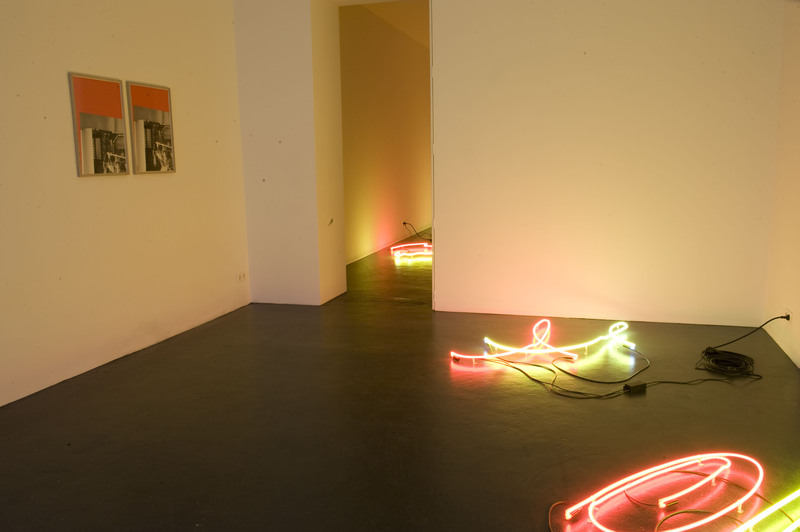 In the exhibition, *Flucht um Mitternacht*, Kliem premieres several body-written neon light artworks, which transform movement into shapes, indicative of communicative gestures within the gallery setting. The works link theories of alienation to the stage that is the white cube. 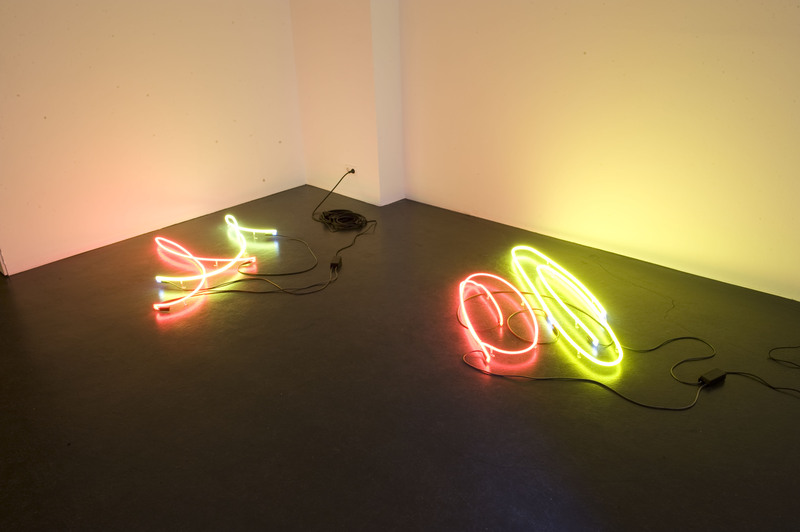 The neon works continue her research investigating one's obsession with an object and furthermore the desire to become that object. Kliem's pursuits are grounded in the canons of dance history, theater and gesticulation. 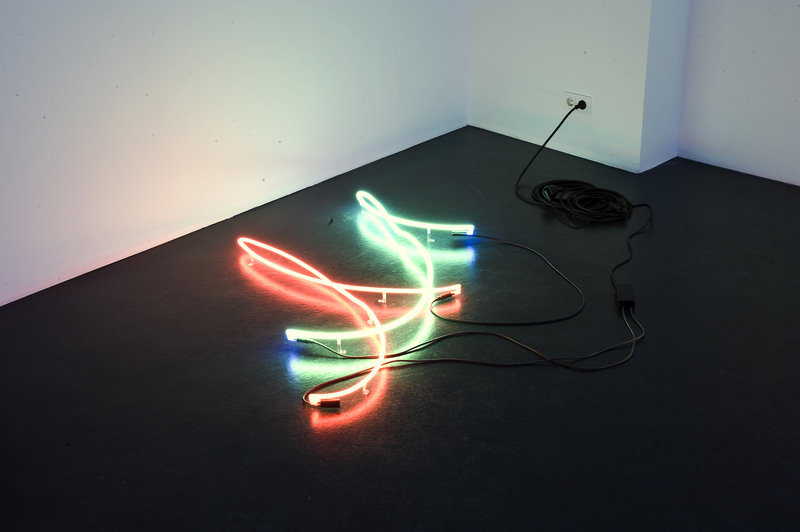 The neon artworks demonstrate an abstraction of words that are playful in gesture and expressive in movement, indicative of a writing methodology similar to traditional Chinese calligraphy, where creation of the piece itself is the performance. During the development of these new works, Kliem was completing an artist in residency program in Xiamen, China. 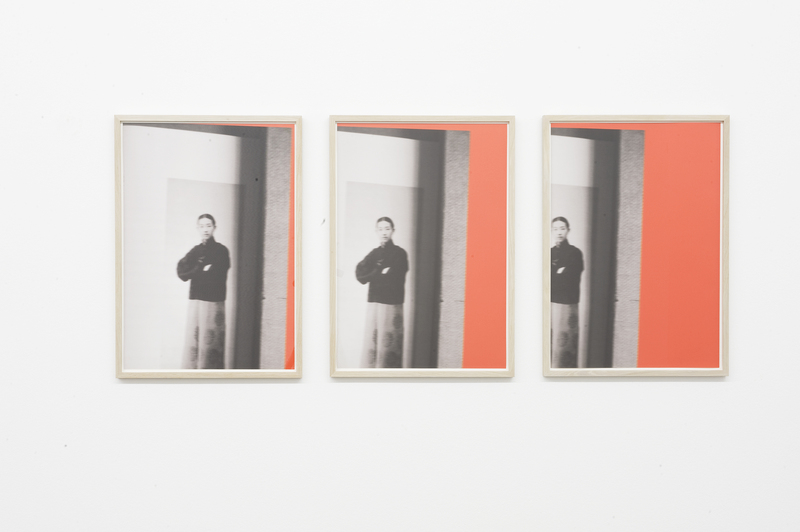 Kliem's work combines western body concepts with the Chinese ideas of Qi, testing minimal gestures and their meaning. Halina Kliem lives and works in Berlin. She studied with Prof. Katharina Sieverding at University of the Arts in Berlin, Carnegie Mellon University of Art, Pittsburgh as well as Academy of Fine Arts in Hamburg. Her work has been exhibited widely in group shows including Berlin 2000 at PaceWildenstein, New York, and to: Night at Bertha and Karl Leubsdorf Gallery (in cooperation with Hunter College NYC), curated by Joachim Pissarro. Halina Kliem was awarded a scholarship by the Berlin Senat, Department for Cultural Affairs in 2008, the Point B residency in New York 2009 and, in 2011, the URRA Artist Program, Buenos Aires, residency as well as the residency for the Chinese Center For European Art, Xiamen. Kliem's work is presented in public collections of the Neuer Berliner Kunstverein in Berlin, the Videonale Archiv, Kunstmuseum in Bonn, the Video as Urban Condition Videopool, London as well as the Archivo Escoria Nuevos Medios in Ecuador.